Ready and eager to make our lives more interesting this week are Mars in Libra stationing direct on Monday, the Sun dancing into Gemini on Tuesday and a quietly effective Jupiter in Cancer trine Saturn in Scorpio on the weekend. Hey! Two out three on the plus side is good news! I’ll happily take it. My feeling about the Mars station at 9° Libra is we may realize in retrospect it marked a turning point for some people. Even the usually speedy Mars will take some time getting back up to speed and it will be June 2 before it reaches 10°. If you are having moments of déjà vu as Mars moves forward over the next month or so, it’s because it is retracing the path it took earlier this year. Mars will be making a third pass over the same planets and Angles from 9° to 27° Libra. For this week though, Mars won’t budge from 9° Libra. Indulging our curiosity just because we can comes to us courtesy of airy Gemini. 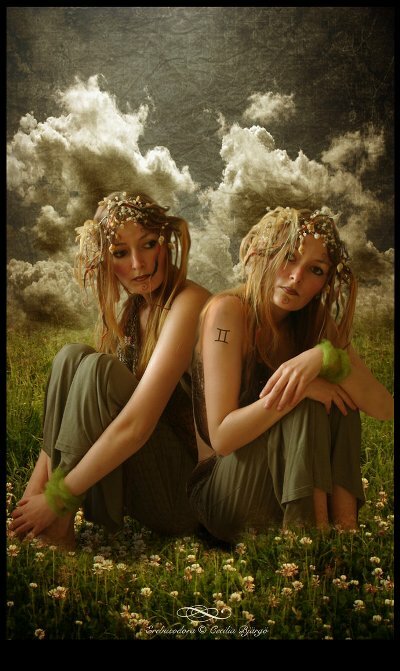 Air signs will be happy to have both the Sun and Mercury in witty Gemini this week, opening doors and windows in their minds to allow fresh ideas to blow in. We all benefit from having more air to activate our brains . . . it is great for seeing our problems from a new perspective. One of my favorite aspects makes one final appearance now is the Jupiter in Cancer trine to Saturn in Scorpio. Whenever Jupiter and Saturn join forces and dance together harmoniously, it increases the possibility of achieving success in the real world. For once our emotional bias works for us instead of against us in the workplace. The most challenging day this week is Monday. Once we hit midweek, it should become easier to make some progress. Remember to haul out your patience and dust it off because patience will be needed as long as Mars is poking along barely moving. A good use of time this week is determining whether or not the information we’re using is high quality. If not, look for a better source. Take this Libra’s word for it; you can’t make good decisions without good information to work with! Having to settle for moving slowly may irritate the heck out of you, Aries, but you know that’s the way it has to be for now. That doesn’t mean your mental gears can’t be moving quickly. This is a great time to talk to close friends and neighbors about your next big move. Your thoughts may turn to coming up with new and better ways to improve your cash flow now, Taurus. Running your ideas past your partner is a good plan because their feedback could give you the insights you need to make this happen. No matter what life throws out you now, Gemini, you will be able to come up with a plan in response to it and it will probably be a very good one. Your knack for pulling great information seemingly out of thin air is working overtime this week. Enjoy! My vote for the greatest source of frustration for you these days, Cancer, has to do with your home and extended family. Nothing seems to be falling into place at this time but hopefully you will begin to see some light at the end of the tunnel soon. Networking with your peers and other like-minded people this week, Leo, not only may keep you entertained but also help you come up with new ideas about what you want to do when you grow up. Take some quiet time at home this weekend to reflect on your discoveries. This is the time of year when you often end up taking a look at your long term goals, Virgo, and deciding whether or not those are still working for you. If you have been having problems getting paid recently, those should begin to clear up in the near future. You could end deciding you wish you could skip Monday, Libra, due to feeling like you keep running into one obstacle after another. Get through it as best you can. By midweek things ought to ease up some and it will be easier to keep a more positive outlook on life. The pace this week may frustrate you, Scorpio, at least initially. If you do your best to take a philosophical approach and realize everything does come together in its own time, you’ll be fine. Friends from faraway places are a comfort to you now. Lively times are ahead for you now, Sagittarius, and your partner is probably the biggest pot stirrer of all. Since you are usually up for anything at a moment’s notice, you’ll be fine. By the way, there is a reason your gambles often pay off . . . all the quiet research you do behind the scenes. Like it or not, Capricorn, you are in the midst seriously reevaluating your career path. For some of you this might not be voluntary. Though you may chafe at how slowly this goes, in the end you’ll probably be satisfied with the results. Look for some good news late this week. AAquarius, you should like the shift in the atmosphere this week a lot. Getting back into the mental realms where you can happily explore a wide variety of theories and ideas revives your interest in life. Good time to make important workplace adjustments too. Spending time exploring different branches in your family tree may appeal to you now, Pisces. And it is an excellent time to work on various creative projects you put on hold while dealing with other emergencies. Getting caught up in the creative process is very restful for you.